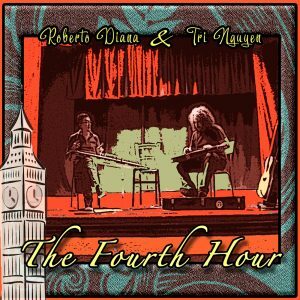 “The Fourth Hour” is the single prelude of the album “Project Perosi” October 2018. The idea came out after Roberto Diana discovered the music of the classical composer Lorenzo Perosi. Composer Roberto Diana revisited Lorenzo Perosi’s music, using musical instruments and musicians coming from different parts of the world. Creating a mixture of western and oriental music coming up with something audience has never heard before. The work started in October 2017, after a successful show at the Festival “Perosi 60”. “The Fourth Hour” takes its cue from the piece “Il Risveglio” (the Wake Up) from the poemetto “Le Cinque Ore di Londra”. In this Opera, Lorenzo Perosi tells the flowing of 5 mornings hours near Westminster Abbey. The typical ring of the Abbey bells ring is reproduced in this piece by Roberto Diana’s Weissenborn. After accurate research, it turns out that the wake-up time (for the friars) was at 4 a.m., hence the title of the track. My idea was to mix up different styles of music. -Diana says- And because of this idea, I immediately thought about of Tri Nguyen. We met each other when we were both in consideration for the Grammy Awards. Even thought we came from different music traditions, we have a lot in common. So this track is a mixture of western and oriental music. After this magical experience with Tri, we decided to continue to do even more beautiful projects together. To be revealed soon. Vietnamese born, Tri Nguyen is considered as one of the most important Zither players. With his unique style, he blends together his traditional music with music from around the world, creating something new and absolutely innovative. 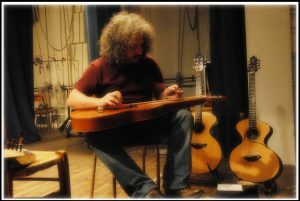 Awards winner and with many world tour behind his back, Roberto Diana is a Sardinian musician. His music is based on constant research different styles of music and the fusion of infinite musical universes. He is considered to be one of the most important Italian guitar player. With this track, Diana has softly linked music instruments and cultures have nothing in common at first sight. With his Weissenborn, Roberto blends his Sardinian culture with Tri’s Vietnamese heritage through the Dan Tranh, at the same time preserving the classical influence with the presence of the violin and the cello. 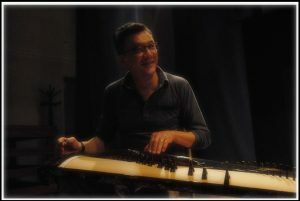 Joining Roberto Diana on the single is Vietnamese born Tri Nguyen, rightly considered one of the most important and uniquely performing zither players. It is a combination that is remarkable, forthright, the same search for energy and commitment striding through each musician’s veins. It is a commitment that shows, for the classical world does not truly get represented in the way that was perhaps envisaged, hijacked by those to whom have no regard for the popularity of the piece when played with vigour and stirring observance. This creative mix of Sardinian belief and oriental music is that original vigour in the modern-day setting, it is a force to which even those who might outwardly suggest that they don’t understand the mechanics of the symphony and the classical arrangement, can feel invigorating their veins with ease. 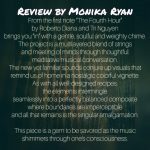 The Fourth Hour is a beautifully crafted piece that holds out with beauty in its arms. This piece is a gem to be savoured as the music shimmers through one’s consciousness. 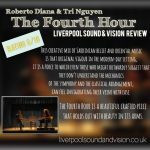 From the first note “The Fourth Hour” by Roberto Diana and Tri Nguyen brings you “in” with a gentle, soulful and weighty chime. The project is a multilayered blend of strings and meeting of minds through thoughtful meditative musical conversation. The new yet familiar sounds conjure up visuals that remind us of home in a nostalgic colourful vignette. As with all well-designed recipes, the elements intermingle seamlessly into a perfectly balanced composite where boundaries are imperceptible and all that remains is the singular amalgamation. Internationally Acclaimed Jazz Singer and Songwriter, Recording Artist and Touring Musician. The Fourth Hour vibrates beyond our universe. I just heard The Fourth Hour. Intriguing! Two great artists each unfolding the mysticism in his respective instrument but merging into one sound that resonates from the soul. The Fourth Hour vibrates beyond our universe. Congrats Tri Nguyen and Roberto Diana, you both played as if you know one another from a past beyond the human perception. Award winner, US Billboard artiste and Recording Academy member. Together, they are magic. They create a new sound. I love the artistry and musicality of Roberto Diana and Tri Nguyen individually. But together, they are magic. They create a new sound.